Balancer intelligently distributes incoming network traffic across multiple targets, including public cloud providers, data centers, bare metal servers, and on-prem equipment. It is built to handle varying traffic loads within a region or across global diverse global markets. 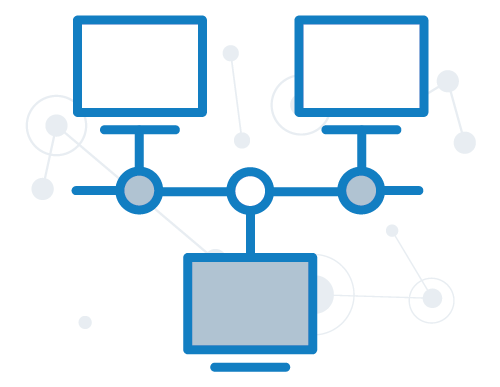 With Balancer, you can front end your globally-distributed backend infrastructure with an anycast IP or anycast network (that we or YOU provide.) Load balance across regions with automatic failover, instantly directing end users to the next highest-performing location. Balancer, unlike GeoDNS, immediately reacts changes in traffic, network, server health, and other performance-related issues. You can learn more about anycast and how it works from our resource site at anycast.com. Built on one of the 10 largest IPv4 and IPv6 peered networks in the world, Balancer can load balance millions of requests per second. It can easily handle spikes in traffic by automatically diverting requests to other available locations. Monitored and optimized by our 24x7 NOC, Balancer delivers reliable performance for latency-sensitive applications and platforms. Fill out the form below to inquire about early access to Balancer. NetActuate’s Balancer software as a service enables companies at any scale to innovate and accelerate their go-to-market strategy. Do you need to deploy a low latency global network? Learn more about NetActuate’s edge and connectivity services today at netactuate.com.